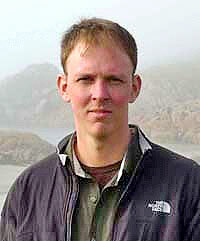 Mike Brady is an Assistant Professor and Extension Economist in the School of Economic Sciences, WSU Pullman. He has a PhD in Agricultural, Environmental and Development Economics from Ohio University. He focuses on specialty crop production including tree fruits, vineyards, vegetables, horticulture and nursery crops. He also has an interest in issues related to water use and irrigated agriculture. Mike is involved in a number of projects focusing on modeling coupled human and environmental systems in an interdisciplinary framework. He has analyzed the economic impact of various agriculture industries in Washington. He also conducts research on farmland ownership, agricultural land values, and land use change. Water Markets and Storage — Substitutes or Complements for Drought Risk Mitigation?